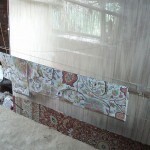 It takes a lot of time and skill to produce a quality hand knotted rug. A new design or colour scheme can take several months to perfect. Once the design and colour combination is approved a final naksha (graphic depiction of the design) is drawn up. 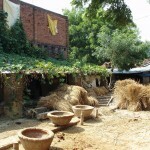 This is given to the weavers along with the yarn. 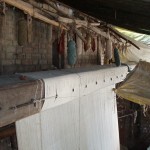 The loom is then strung with the cotton warp threads. 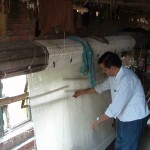 A rug will then spend many months on the loom while each knot is skilfully placed by the weaver. 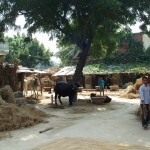 The finest quality rugs may contain between 200,000 and 400,000 knots to the square meter. The higher the knot count, the more intricate, the detail which can be achieved in the design. 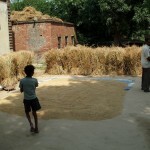 The progress of the rug is checked several times during this period to ensure consistent quality throughout the piece. 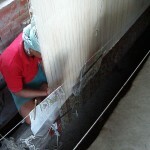 Once the weaving process is completed, the rug is cut from the loom and sent for washing.